Crown Oil has invested in a unique fuel conditioning item, which will be used as part of our main fuel refining service. At 1.5 x 3 metres long, this is the biggest fuel conditioning system Crown Oil has bought up to now. This huge scale fuel conditioning item has been built into the oil polishing system to deliver the vital protection against ferrous material. This is one of the most technologically advanced pieces of equipment available in the UK for fuel polishing. It allows us to clean the fuel in a quick and efficient manner without compromising on the quality of the fuel. The conditioning item will re-circulate, reinstate and enhance the general quality of diesel oil. 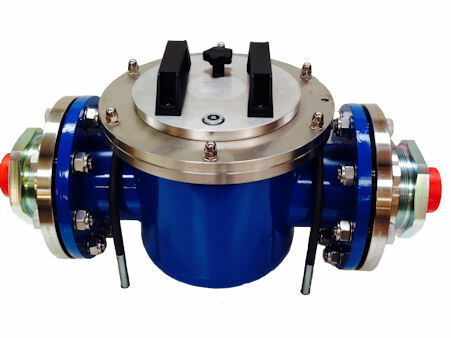 By using progressive magnetic field equipment, the system will cautiously control the movement of oil through the device, permitting it to battle degradation, delay the development of and then remove any microorganisms, ferrous materials and reverse the harm caused to the oil by water and additional foreign pollution. The oil polishing system will re-circulate 400 litres of oil per minute, washing the oil to 2 microns as part of the procedure. To make sure the process is effortless, a flexible speed, self-monitoring regulator system has been connected. This permits the machines’ operatives to control the settings of the item, for example, frequency, amount of rotations, time of process and length. For additional information about our oil polishing facilities, click here.